Are you selling a large quantity of products that are difficult to protect? Perhaps you are you dealing with an extremely wide variety of products and high volumes, like hypermarkets do. Or, maybe you have to protect metal-based articles, like for example Do it Yourself stores sell. Products that contain fluids can be difficult to secure. No matter what you are dealing with, Century Europe will provide the best solution that tackles your challenge. We offer products and solutions to protect products in various shapes and sizes, providing both RF and AM-security solutions. Our systems can help you to protect every type of product and package, no matter what you are looking for. Our product range varies from AM (Acoustic-Magnetic) systems to EAS-systems combined with RFID (Radio-Frequency Identification). All of our solutions are easy to install and ensure secure protection of your merchandise, including those that are usually difficult to protect. Besides, we offer source tagging to secure products throughout the retail supply chain. Find out more about our Electronic Article Surveillance (EAS) alarm systems, which helps to prevent and detect shoplifting. Secure and identify individual items with Century Europe’s reliable Radio Frequency Identification (RFID) solutions. 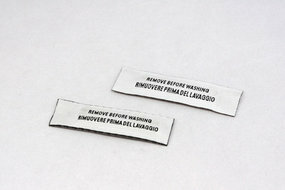 Applying tags or labels directly onto or in the product during manufacturing helps to track and secure individual items.